Well, you know how to cook a gourmet meal, but you don't have a clue what brush to use to clean up afterwards. Our Carlisle 21 key brush guide helps simplify all kitchen clean ups. Keep it clean with Carlisle. Our 21 key brush guide includes everything from pastry brushes to floor care, to general cleaning. Today we're going to talk about three of these essential product groups. Let's start with the basics--hygiene. The first thing you want in the kitchen is a worker with clean hands. The Sparta hand and nail brush is the industry standard. Its ergonomic design is easy to use. 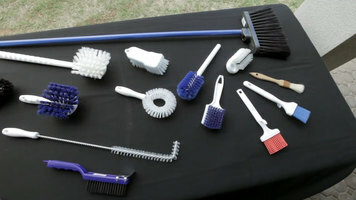 The long side bristles clean fingernails and knuckles and the short, stiff center bristles clean under the fingernails. You can even get it with a cord for hanging near sinks. Another kitchen basic is the pastry brush. Carlisle's line of Sparta brush products have been around for over 100 years and are known for their quality. The Sparta Chef series and Sparta Media pastry brushes are designed specially for foodservice use. 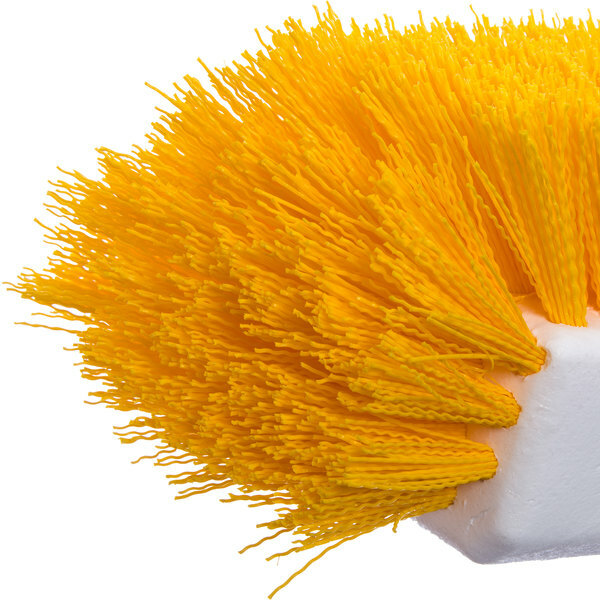 Chef series brushes have epoxy set bristles to eliminate food traps. 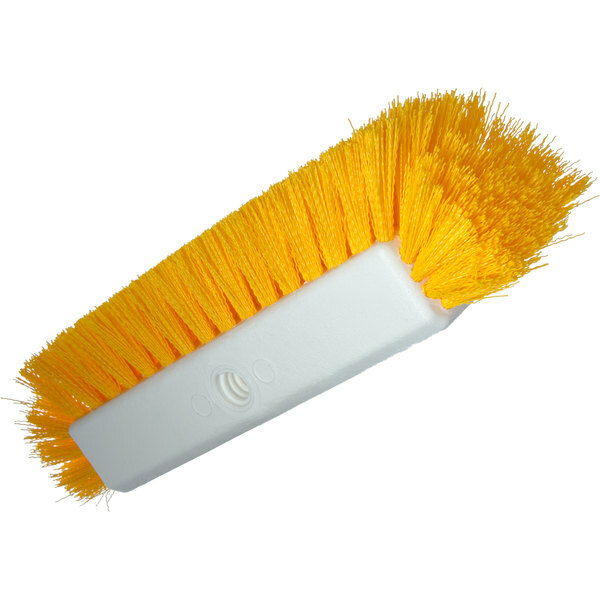 The Sparta Media brush line have bristles molded into the handle to prevent contamination. Both are available with boar or nylon bristles for hot and cold applications. Finally, let's get that broiler clean. Carlisle's broiler master is the workhorse of the industry. It features a specially-treated wooden head with two-sided stainless bristles. Broiler master has a metal scraper on the end for power scraping burned off food build up. That's the highlights of our 21 key brush guide, the key to maintaining a clean kitchen. Carlisle's Sparta brush line includes thousands of brooms, brushes, mops, squeegees, and specialty brushes. If you don't see what you're working for here and want to find out more about our 21 key brushes, contact a Carlisle representative. Keep your kitchen clean with the help of Carlisle's 21 key brushes! They're easy to use and are designed specifically for foodservice applications. 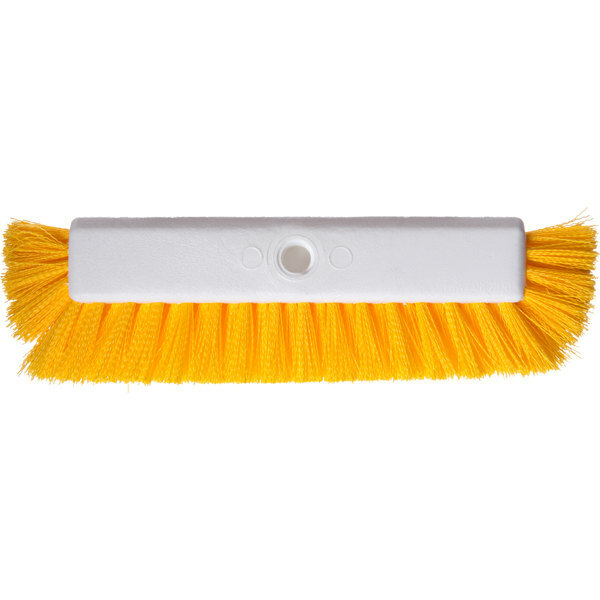 Efficiently clean your establishment with this Carlisle 4042200 Sparta hi-lo floor scrub brush. 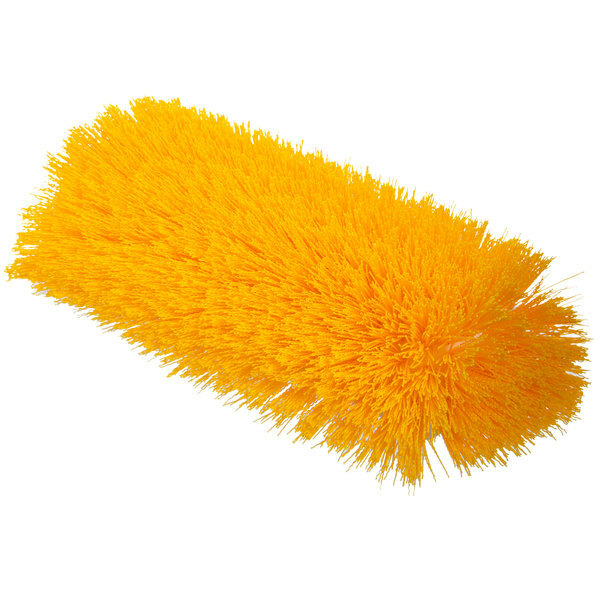 This floor scrubber features a non-absorbent plastic block with crimped yellow polypropylene bristles that washes easily to prevent the risk of mold and mildew settling in the brush. Durable and long-lasting, this brush is great for cleaning your high-volume commercial settings, such as hospitals and medical centers, cafeterias, and restaurant kitchens. Unlike traditional brushes, this innovative Hi-Lo piece features a split shape designed to effectively clean hard to reach crevices and cracks. It provides immense cleaning power at an impressive 3 different angles. 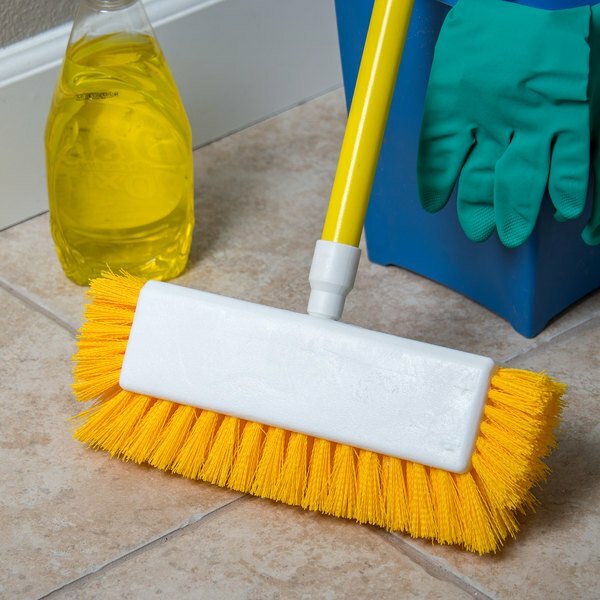 Plus, its bristles provide effective scrubbing of baseboards and tough-to-clean corners, allowing you to quickly clean floors with just one tool. Empower your janitorial and kitchen staff with this Sparta Hi-Lo floor scrub brush! Trim Length: 1 1/2" - 1 3/4"